Ugh, it's morning again. Did you hit the snooze button one too many times and now you're trying to get ready in record time? When you have to decide between wearing an acceptable outfit and getting a nutritious meal in your belly, breakfast usually gets left in the dust. Well, not anymore. 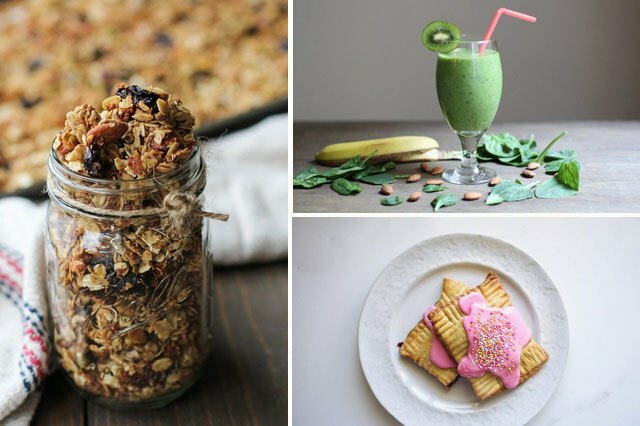 Whether you make a big batch of granola on Sunday nights to munch on all week or you whip up a quick green smoothie, these easy and delicious recipes will help you take full advantage of the most important meal of the day. Getting out of bed in the morning won't feel so brutal when you know there's a tasty apple muffin (or two) waiting on the counter for you. 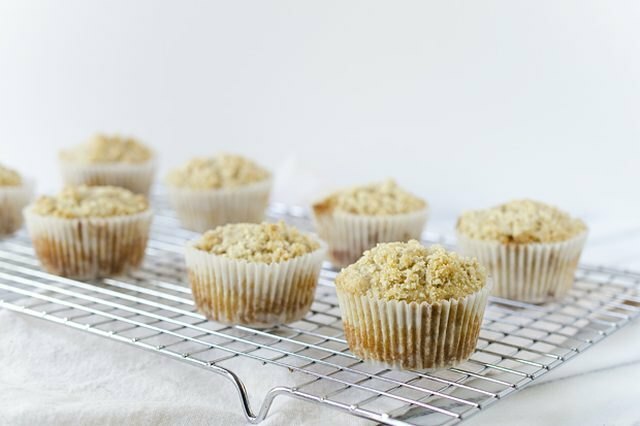 Made with diced sweet apples and topped with a brown sugar streusel, these muffins will cure even the worst case of the Mondays. 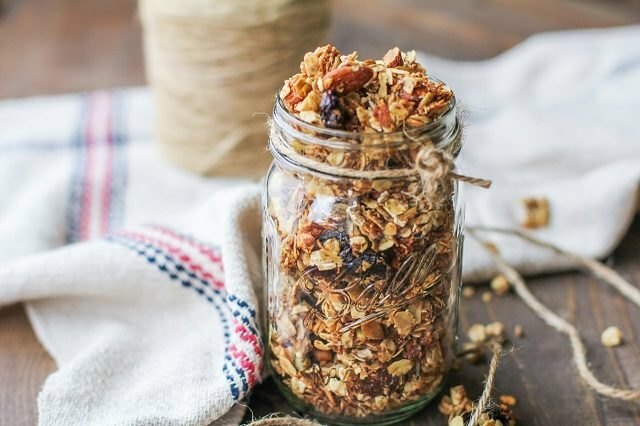 Whip up a big batch of this granola and you'll be able to make yummy, healthy breakfasts all week long. Sprinkle it on your yogurt, have it with milk or even spread it on apple slices covered in peanut butter. The possibilities are endlessly delicious. Packed with protein and a definite kitchen staple, Greek yogurt will give you all the energy you need to get through that early morning workout. Start this recipe the night before, since the yogurt needs to rest on the counter for 8 to 12 hours. Store the finished product in an airtight container (or in a few small mason jars for a grab-and-go breakfast) and enjoy for up to a week. Save this one for Saturday morning, when you have a little extra time but still need a nutritious breakfast to nosh on before taking care of errands. 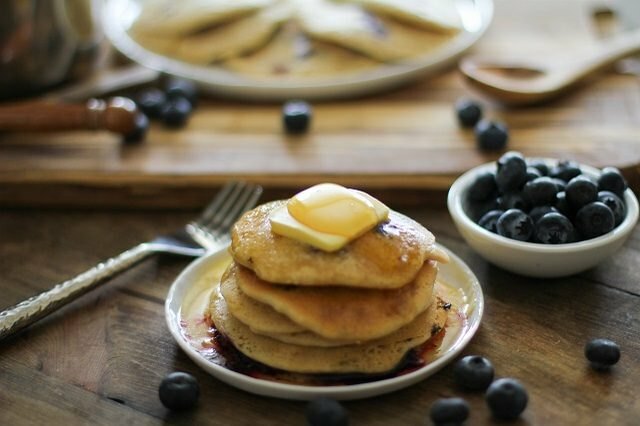 Since these blueberry pancakes are made with protein-rich almond flour and almond milk, they're vegan, gluten-free and totally delicious. Are you running late this morning and think there's no time for breakfast? Think again! Don't settle for a bagel on the way to the office that'll just leave you hungry again in an hour. 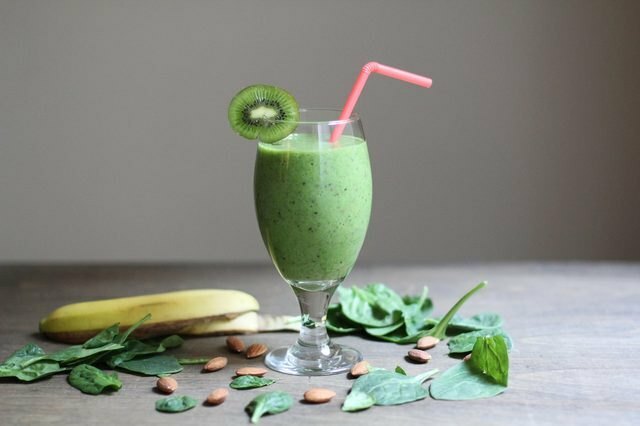 Instead, you should start your day with a quick and easy green smoothie that's full of nutrient-dense fruits and vegetables. 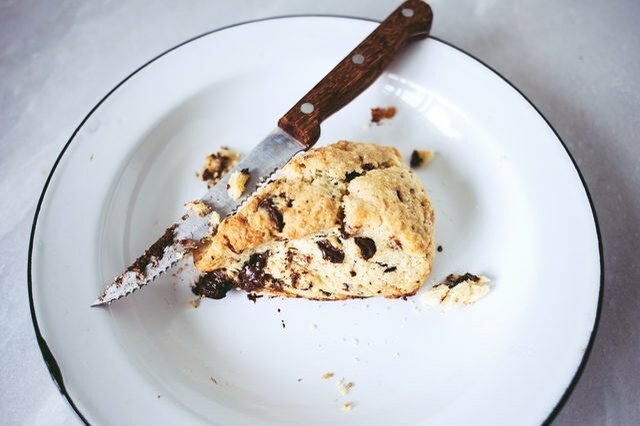 It's almost impossible to have a bad morning when you take a moment to enjoy a fluffy, buttery scone loaded with chocolate chunks and malted milk powder. This is a no-fuss recipe that can be thrown together in just a few minutes — and you don't even have to dig out your rolling pin or cookie cutters. 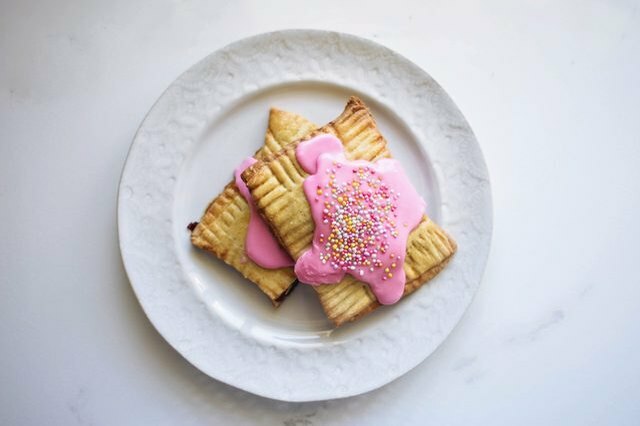 When we say you can have pop tarts for breakfast, we aren't talking about the store-bought ones in the shiny silver wrappers. This homemade version is not only adorable, it's totally customizable, too. Whether you use raspberry, strawberry or fig jam filling, you'll never put the other kind on your shopping list again. 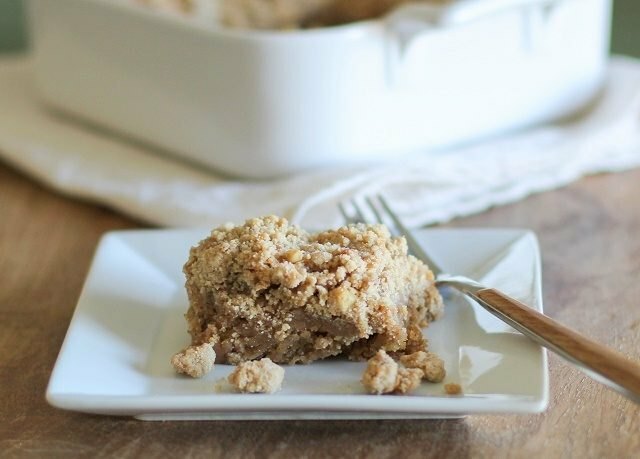 Nothing pairs better with your morning cup of coffee than a slice of coffee cake. Once you master this classic recipe, you'll be whipping up a batch every weekend. Stick to the basics, or go for a citrusy twist by adding fresh berries, lemon juice and a powdered sugar glaze. Either way, this one's a keeper. 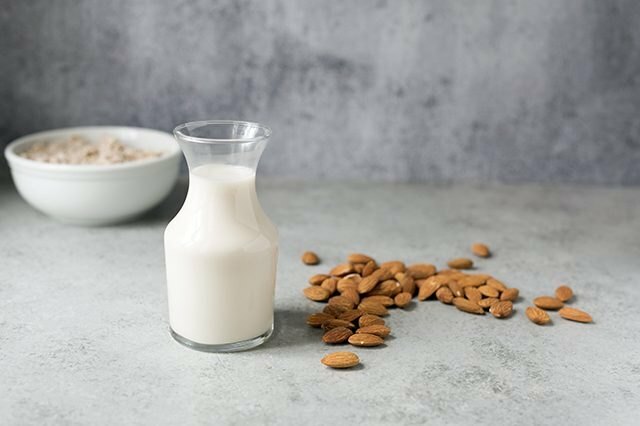 Almond milk is all the rage these days, and by making it yourself you can avoid the preservatives found in the store-bought varieties. Since you only need two ingredients (almonds and water), you can fill a glass in no time. Just let the almonds soak overnight, and then blend them with filtered water. Strain and enjoy with your favorite cereal. Having oatmeal for breakfast doesn't have to mean eating a warm bowl of mush. 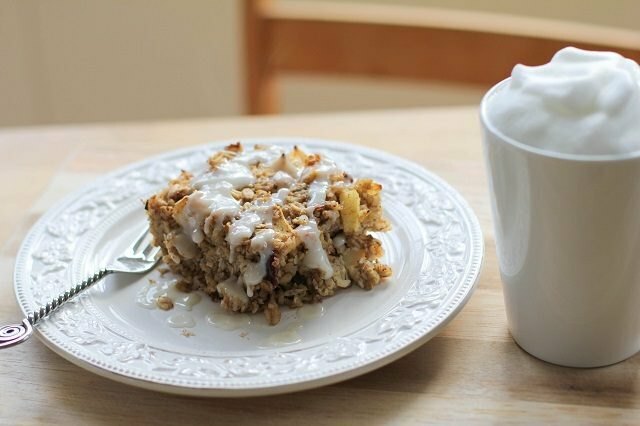 This baked version is just as filling and nutritious, and it can be customized with chopped apples and whipped cream. Pop the tray of oatmeal in the oven for an hour while you get ready for the day, and it'll be done when you're set to leave. Yes, you can have cookies for breakfast. These aren't just ordinary cookies, though. 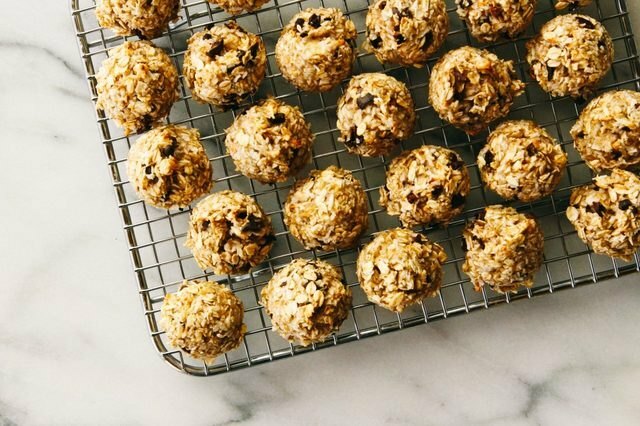 Filled with fiber and healthy fats from ingredients like raw cacao nibs and ripe bananas, these coconut cookies have everything you need to power through your day. First cookies and now pizza for breakfast? Don't bother pinching yourself because no, it's not a dream. From a basic bacon, egg and cheese pizza to the ultra-fancy balsamic caramelized onion, prosciutto, spinach and parmesan pizza, breakfast will never be the same again. If you're having guests over, don't default to cold cereal or a dozen donuts. 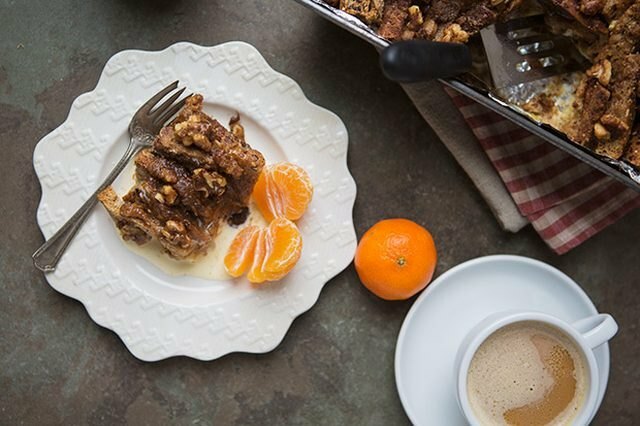 Instead, put together this make-ahead cinnamon roll French toast and you'll be able to enjoy your guests and a delicious breakfast at the same time. Combine the crusty bread and custard mixture and let it sit in your refrigerator overnight. In the morning, pop it in the oven for a quick 30 minutes and breakfast will be ready before you know it.